Preventable Tragedy? 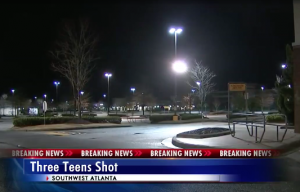 Willie Redditt IV Killed in South Fulton Shopping Center Shooting. Did negligent security contribute to this tragic loss of life and are justice and compensation available to Mr. Redditt’s family? The suspect fled the scene and the investigation is ongoing according to media outlets. Shopping center patrons have a right to feel safe and secure while on the premises. The Murray Law Firm questions the level of security provided at the shopping center and whether this tragedy may have been prevented. Was there any reports of suspicious activity prior to the incident? What security measures, such as monitored surveillance cameras and visible security patrols, were in place to deter crime and protect Mr. Redditt at the time of the shooting? Generally, property owners are required to protect all those legally on the premises from any foreseeable harm. Should the facts of this matter reveal that the property owner failed to provide adequate security to protect those on its premises, Willie Reddit’s family may seek justice and elect to pursue legal claims for their loss. Based upon its prior successful experience in handling security negligence claims on behalf of victims and their families, The Murray Law Firm suggests that photographs and a thorough, unbiased inspection of the property will need to be performed immediately, before any evidence may be repaired, damaged or destroyed. Given the complexities of pursuing a negligent security case, it is imperative that Mr. Redditt’s family retain an experienced attorney who can ensure the preservation of any and all evidence that may support such a claim. The Murray Law Firm has an extensive and successful record representing victims and their families and security negligence. We have obtained over $100 Million in verdicts and settlementsfor out Clients, including a $29.25 million dollar verdict for a victim of an unsafe property. We offer our legal assistance, if desired. 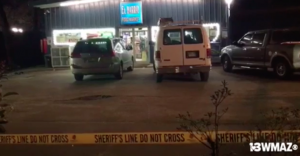 2 Injured in Warner Robins Convenience Store Shooting; Justice Available? Did negligent security contribute to the shooting and are justice and compensation available to the victims? 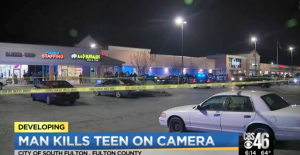 Gunfire erupted Thursday evening, February 14, 2019 outside a Warner Robins convenience store leaving two victims shot and injured, according to media reports. According to 41NBC.com, “[t]he shooting happened around 7:30 Thursday evening at the El Barrio Food Market in the Red Fox Run trailer park in Warner Robins.” Authorities arrived at the scene and found that two men had been shot. “One was taken to the Medical Center and the other was taken to the Houston Medical Center,” reports 13WMAZ.com. The news outlet indicates “[b]oth underwent surgery and their conditions are unknown.” Two individuals were arrested, a 16-year-old female and an 18-year-old male, and “each [were] charged with three counts of aggravated assault” according to the report. Convenience store and business patrons have a right to feel safe and secure while on the premises. Questions arise as to the level of security provided on the property, and whether this tragedy may have been prevented. Was there any altercation outside the property before the shooting? Generally, property owners are required to protect all those legally on the premises from any foreseeable harm. Should the facts of this matter reveal that the property owner or management failed to provide adequate security to protect those on its premises, the victims may seek justice and elect to pursue legal claims for their injuries. Based upon its prior successful experience in handling security negligence claims on behalf of victims and their families in the Atlanta area, The Murray Law Firm suggests that photographs and a thorough, unbiased inspection of the property will need to be performed immediately, before any evidence may be repaired, damaged or destroyed. Given the complexities of pursuing a negligent security case, it is imperative that the victims retain an experienced attorney who can ensure the preservation of any and all evidence that may support such a claim.